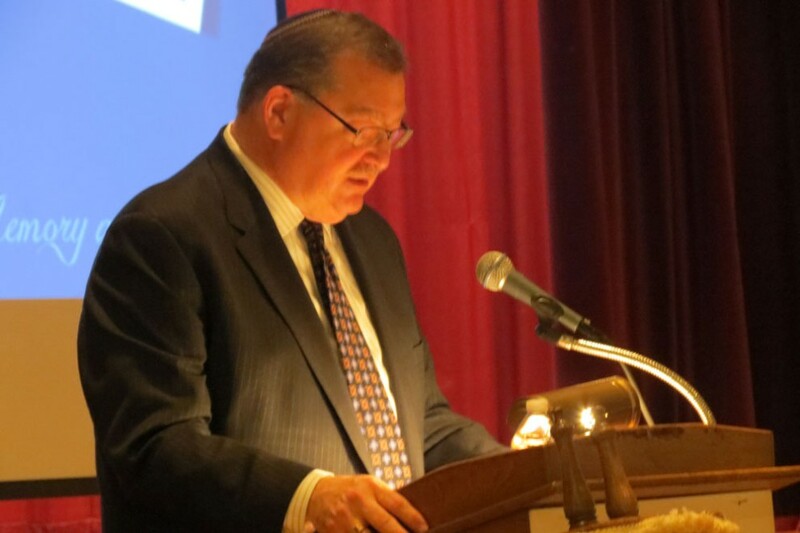 The Jewish Federation of the Lehigh Valley will honor long-time Executive Director Mark L. Goldstein, z”l, by supporting the causes he cared most about and the attributes he possessed. In December, the Federation’s Board of Directors voted unanimously to establish the Mark L. Goldstein Memorial Fund through the Lehigh Valley Jewish Foundation. Friends and family will be able to make donations to the philanthropic fund in Goldstein’s memory at any time. The fund will then be able to provide funding for designated projects in perpetuity, continuing Goldstein’s legacy. In consultation with Goldstein’s family, the board decided the fund would mainly support two causes that were important to Goldstein throughout his life – scholarships for camp and Israel programs and Holocaust education. Goldstein was a big proponent of local camp scholarships, often pounding the pavement himself to make sure the funding was there to send Lehigh Valley children to Jewish overnight camp. “He made sure that the next generation of Jews would have the opportunity to have Jewish experiences and grow in their Judaism, whether here in the Lehigh Valley, in Israel, in the former Soviet Union, or wherever there was a need,” said Eva Levitt, board president. “As the son of a Holocaust survivor, Mark made every effort to promote Holocaust education here in the Lehigh Valley, including frequently sharing his own story with students,” she added. In addition to the memorial fund, the board voted in January to establish the Mark L. Goldstein Outstanding Jewish Communal Professional Award in honor of Goldstein’s career-spanning dedication to Jewish communal service and optimism for our community’s Jewish future. The Jewish Federation will be seeking nominations for the award’s first recipient, to be decided by a committee of the board and presented at the Community Celebration & Annual Meeting this June. The award will subsequently be presented in years where outstanding candidates emerge. To nominate a local Jewish communal professional for the Mark L. Goldstein Outstanding Jewish Communal Professional Award, contact Jeri Zimmerman at jeri@jflv.org. To make a contribution to the Mark L. Goldstein Memorial Fund, CLICK HERE or call the Jewish Federation at 610-821-5500.